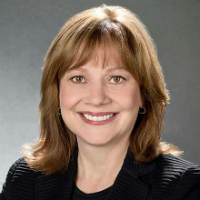 Mary Barra is Chairman and Chief Executive Officer of General Motors Company. 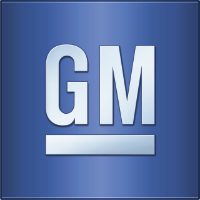 Barra was elected Chairman of the GM Board of Directors on January 4, 2016, and has served as CEO of GM since January 15, 2014. Under Barra’s leadership, GM is focused on strengthening its core business of building great cars, trucks and crossovers, while also working to lead the transformation of personal mobility through advanced technologies such as connectivity, electrification, autonomous driving and car sharing. Barra has also established a strategic direction based on putting the customer at the center of everything the company does, all around the world. Prior to being named CEO, Barra served as Executive Vice President, Global Product Development, Purchasing & Supply Chain since August 2013, and as Senior Vice President, Global Product Development since February 2011. In these roles, she was responsible for the design, engineering, program management and quality of GM vehicles around the world. In 1990, Barra graduated with a Masters in Business Administration from the Stanford Graduate School of Business after receiving a GM fellowship in 1988. Barra began her career with GM in 1980 as a General Motors Institute (Kettering University) co-op student at the Pontiac Motor Division. She graduated with a Bachelor of Science degree in electrical engineering in 1985. Barra is a member of the General Dynamics Board of Directors. She serves on the Board of Directors of the Detroit Economic Club and as a member of The Business Council. She is also a member of the Stanford University Board of Trustees, the Stanford Graduate School of Business Advisory Council and the Board of Trustees for the Detroit Country Day School.